Denmark, Switzerland, Norway, Turkey and again Denmark. This is the top-5 of the 1.35m Junior class on the 1st day of the Dutch Youngster Festival. The Danish Christine Thirup Christensen was the fastest with Queen Lady Z (Quinar x Grannus). Runner-up in this Against the clock was Alexandra Amar (SUI) with Jabarivan de Maltahoeve (Toulon x Darco). Mira Høidal became 3rd with Shelby (Stakkato x Zacharias), followed by Eylül Karaduman (TUR) and Michelle Lassen (DEN). 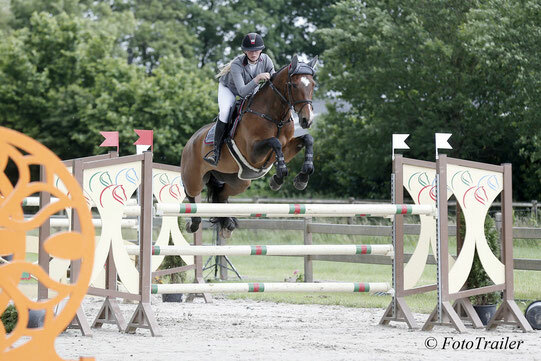 Best Dutch rider on place 6 was Britt Wiefferink with Brunetti (Briar x Riccione) with one time penalty.